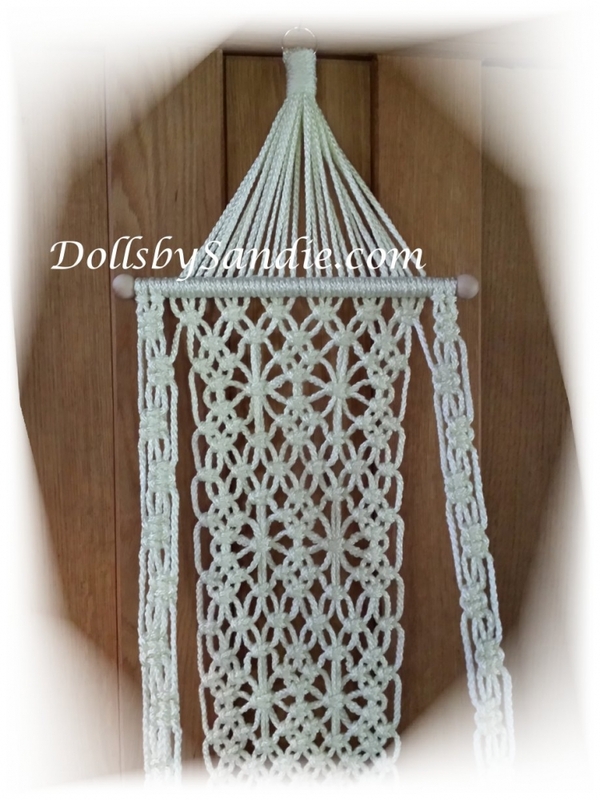 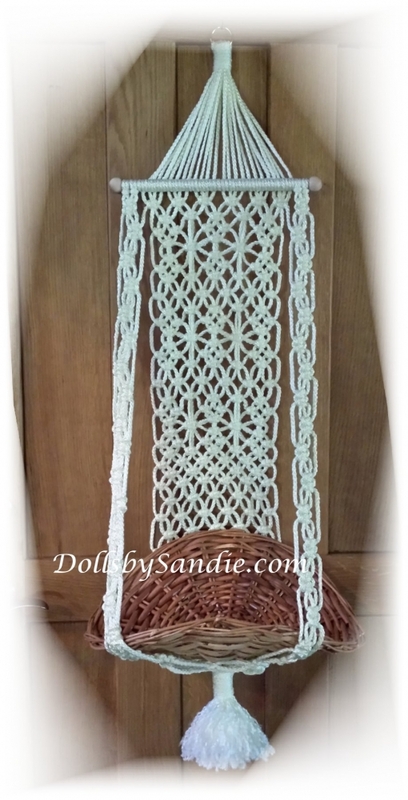 This is a one of a kind hanging wall display, designed and made by me. 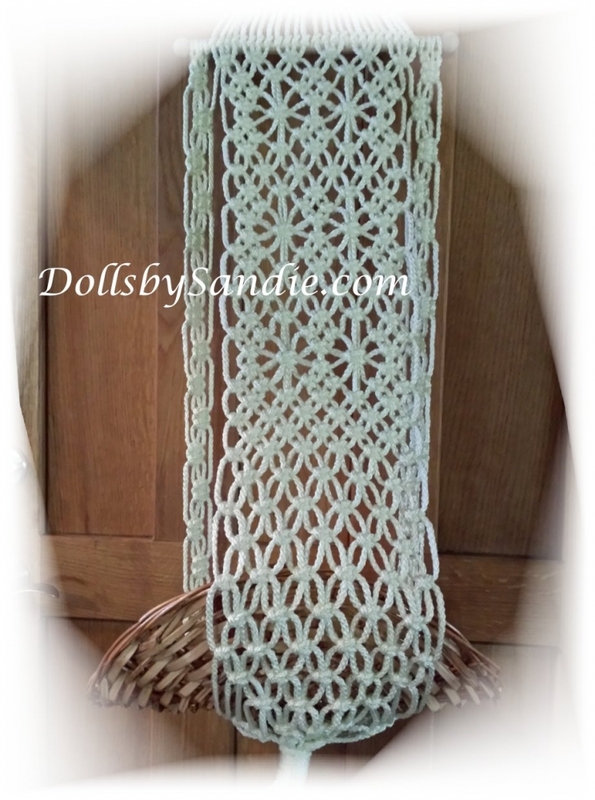 This one is Beige and contains 135 yards of cord. 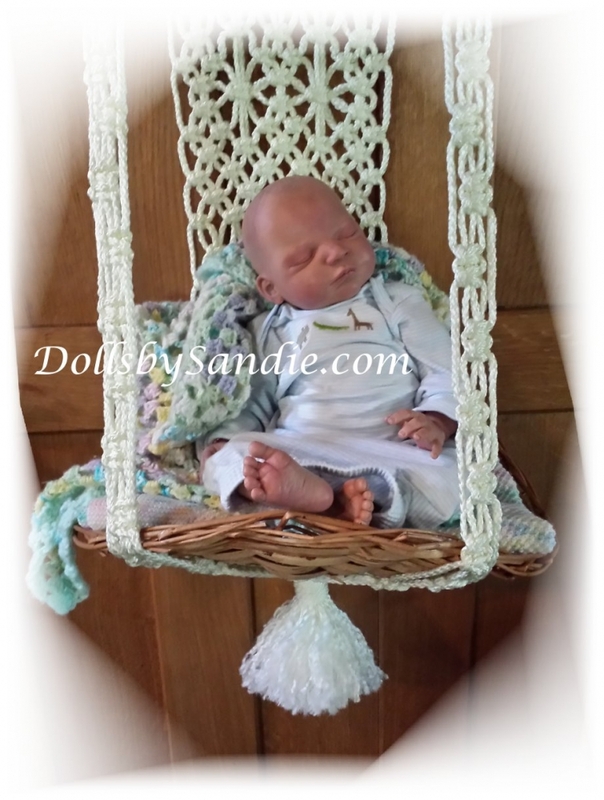 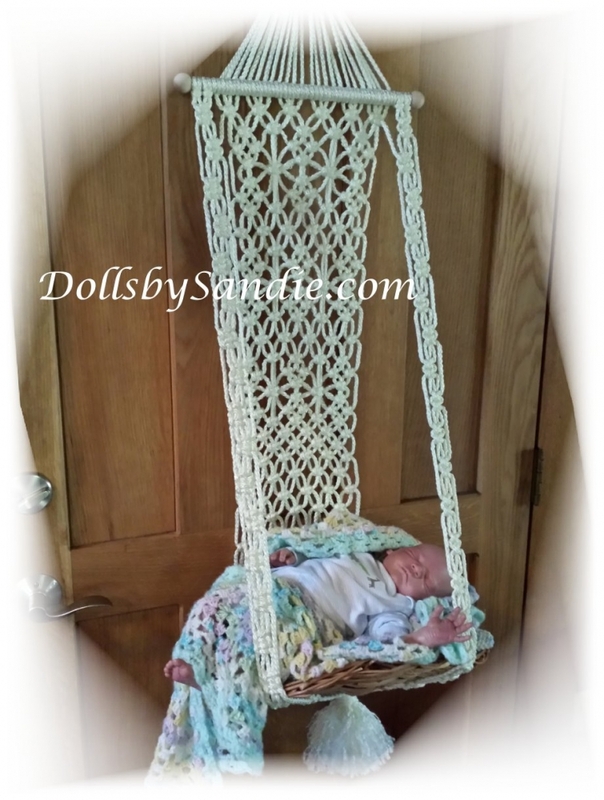 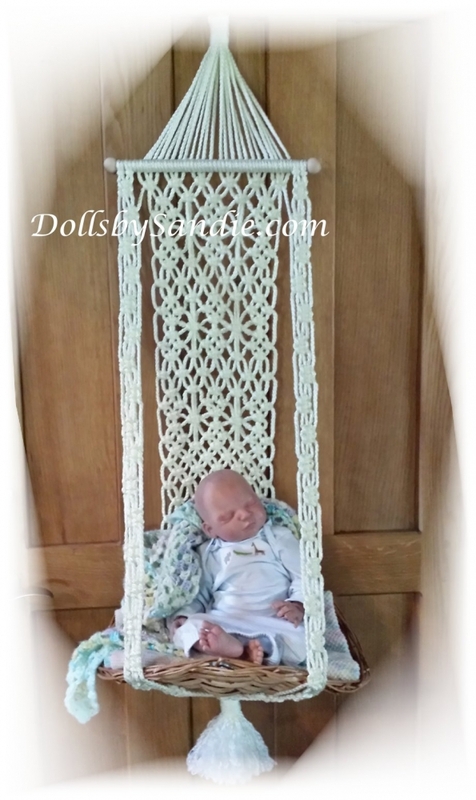 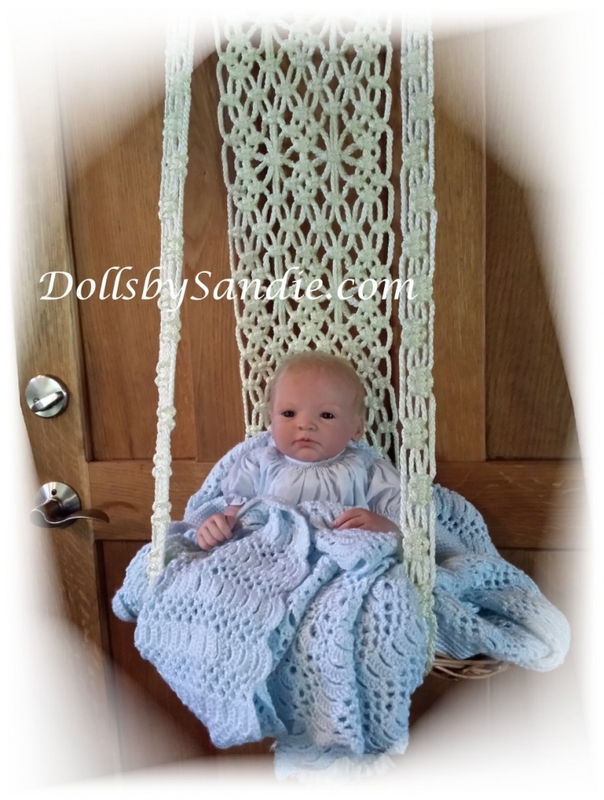 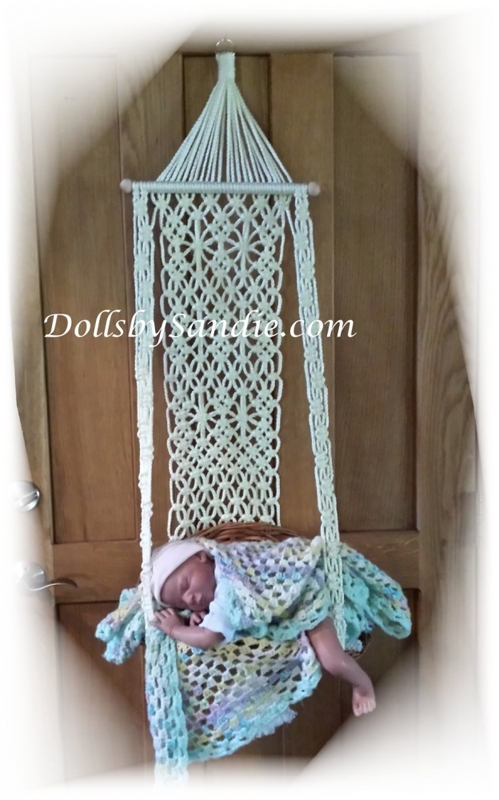 For Average Doll 16" to 22"
Position them any way you wish, Baby Cuddled up or a Toddler sitting.